Design is stitched over one on 28ct Antique White Cashel linen; stitch count is 38 x 38. Kit includes Sterling Silver vharm, threads, fabric, needle and instructions. 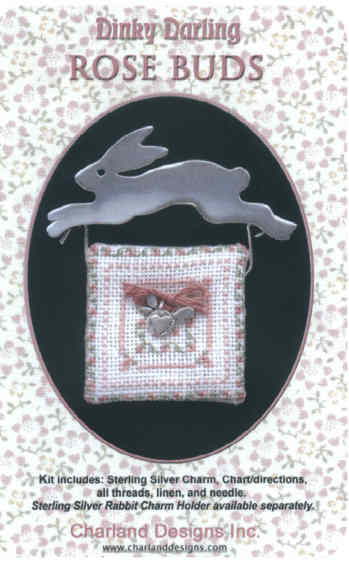 Sterling Silver Rabbit Charm holder available separately.